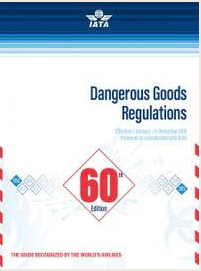 The 60th Edition of the IATA Dangerous Goods Regulations will be effective January 1, 2019. There are various changes that will take place. Here is Significant Changes to the 2019 IATA Dangerous Goods Regulations.